INCOMING: Dean of Harvard College Benedict H. Gross ’71. 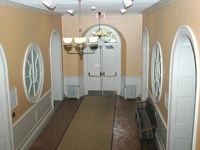 On the northern side of University Hall, a vestibule separates the offices of Dean of the College Harry R. Lewis ’68 and Dean of Undergraduate Education Benedict H. Gross ’71. The quiet hallway survived a recent $10 million renovation that updated the administrative offices and added handicapped access to the building. But a new construction project is underway in University Hall: one that will be marked not by the din of jackhammers and lifts, but by the exit of a dean and the extinction of a deanship. And now, the anteroom is at the center of the work, which aims to bridge a rift symbolized by the entrance hall at the northern end of the College’s administrative building. 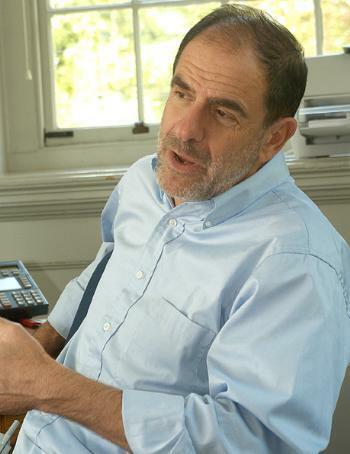 The overhaul began this March when Dean of the Faculty William C. Kirby fired Lewis from the position he has held for eight years and announced the consolidation of Lewis’ and Gross’ offices. Shortly thereafter, Kirby tapped Gross—a mathematics professor who had assumed the undergraduate education deanship only at the beginning of this year—to fill the new post. Kirby and University President Lawrence H. Summers initiated the move to displace Lewis, who had often opposed their agenda for reshaping the undergraduate experience at Harvard, several sources inside and outside University Hall say. But Kirby and Gross point out that the idea to combine the deanships has been proposed before—by Lewis himself—as a way to eliminate an artificial division of control over the academic and extracurricular aspects of students’ lives. The restructuring has suddenly left Gross with a Herculean set of responsibilities. He has been put in charge of not only the academic dimension of the College, but also the non-academic matters of undergraduate life that Lewis has handled. In this new capacity, he will oversee both larger issues that face the College, like curricular review and vanishing social space, and the more mundane details of House life and extracurriculars. While many express hope that Gross will be able to manage the new post, the abrupt and unilateral decision has left the College with a new type of administration: a centralized bureaucracy focused on the academic aspects of undergraduate life. And some worry the College has embarked upon this ambitious project without a plan. Though the decision to oust Lewis and terminate his deanship may have seemed sudden, the idea of restructuring is hardly novel. The impetus behind a single dean structure can be traced back to 1994, when then-Dean of the Faculty Jeremy R. Knowles launched an evaluation of the performance of the College administration. The document made 45 specific recommendations for reforms, ranging in subject from advising to public service. 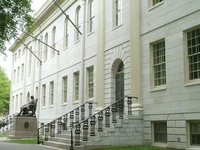 The report listed three possible options for the structure of the office of the dean of Harvard College. One model, the “single-faculty-dean structure,” called for the combination of the responsibilities of the dean of the College and the dean of undergraduate education, thus foreshadowing the consolidated deanship that Gross now stands poised to assume. Knowles, known for his imperious leadership style, chose not to implement the report’s suggestion for a more powerful dean of the College. “I chose a slightly different approach to invite a professor to be dean of the College, and so to have the benefit of two faculty colleagues supporting the undergraduate experience,” Knowles says. Some have been left wondering why, 10 years after the changes proposed in the Lewis-Maull report were vetoed by Knowles, restructuring was such an urgent priority this spring. Gomes suggests that ousting Lewis had been given priority above fleshing out how the administration would actually function under the new system. According to Gomes, the game plan had been to implement changes to get rid of the dean first and worry later about the logistics of these changes. Gomes offers a hypothesis to a chicken-and-egg question that Summers and Kirby alone might be able to answer—which came first: the decision to get rid of Lewis or the move to restructure the deanships? Lewis has the original sketch of a Crimson editorial cartoon framed in his office. The cartoon depicts Summers pulling the strings of a puppet Kirby, who is kicking Lewis over. The end of mild-mannered Neil L. Rudenstine’s ten-year University presidency in 2001 ushered in Summers and his top-down brand of management. In his first two years in office, Summers has sought to tighten his managerial grip on the University’s different schools, particularly the College. “From his first day, Larry has been most concerned about the College,” Knowles says. With this acute interest, Summers has sought to exert influence on a range of College matters, from throwing his weight behind an initiative last year to offer more for-credit study abroad opportunities, to warning against what he feels is too great an emphasis on extracurriculars. The restructuring will streamline the layers of bureaucracy between Summers and undergraduate education. The highest officers between Summers and the College are now Kirby, whom he hand-picked to head the Faculty last spring, and Gross, the tennis partner whom he also considered for the top spot in the Faculty of Arts and Sciences (FAS). This makes Gross the third link in the chain of command. Restructuring may help Summers maintain his influence in the College by centralizing administrative power and diminishing the influence of Lewis, with whom he has clashed ideologically and personally on a number of occasions. The two also butted heads during this spring’s debate about preregistration. Although he remained quiet about the matter in public, Lewis stood firmly against Kirby’s preregistration proposal, which Summers had backed until a Faculty vote demonstrated strong opposition to the plan. Moreover, Lewis has been a constant supporter of extracurriculars—especially the College’s sports teams—and a vigilant advocate of student life, which flies in the face of Summers’ efforts to emphasize academics. Lewis’ departure from University Hall prevents the clash of personality and vision that characterized Summers’ first two years in office. Lewis and Summers’ disputes are well-known among administrators, and many believe Summers was behind the firing. According to one well-informed source, Summers made it clear to Kirby that he would not be unhappy if Lewis stepped down. Kirby, Gross and Summers maintain that the dismissal had to do with administrative, rather than personal reasons. But the fear of opposition from Lewis would explain why he was not asked to serve as dean during the transition to the new structure, despite his vast wealth of knowledge about Harvard. “Why not use one of the experts to lead you into the future?” asks an incredulous Assistant Dean of the College Karen E. Avery ’87, whom Lewis appointed. One answer to her question is that Lewis’ expertise might have been more troublesome than anything else for Kirby and Gross. This potential motivation has some worrying that the manner in which the restructuring occurred was less than careful. According to one well-informed source, details of the integration of the two offices have been considered haphazardly. “Because it happened more suddenly than it needed to, the plans for reorganization and a successor were not well developed,” the source said. This raises the question of why the administration would handle such a potentially volatile matter so hastily. The press release in which Kirby announced the restructuring framed the move in the context of the upcoming curricular review, set to come fully underway next year. Although it states that the merger of the positions is intended to bridge the administrative gap between academic and student life, it’s more likely that Summers and Kirby didn’t want such a comprehensive and far-reaching review of the undergraduate experience to be heavily influenced by someone with priorities at odds with their own. But the motivation underlying the restructuring is likely more nuanced than simply a battle of personalities or a convenient pretense for ousting Lewis. If Lewis’ departure had been Summers’ and Kirby’s chief goal, they could have accomplished that end more easily than through an overhaul of the administration. Moreover, despite the uncertain reasoning behind the move, restructuring may actually help clarify administrators’ roles and improve efficiency within University Hall, namely, by unifying oversight of all student affairs. The position that became known as dean of undergraduate education was created in 1972, shortly after Warren Professor of American History Ernest R. May finished his stint as the final Faculty member before Lewis to serve as dean of the College. Henry A. Rosovsky, dean of the Faculty at the time, wanted a professor to oversee curricular matters, so he created the separate, part-time post, and he intended it to be filled exclusively by Faculty members. Knowles gave the position the name it bears today. Currently, the dean of undergraduate education oversees student academic life, sitting on several policymaking committees and vetting proposals for changes to the curriculum and concentrations. The dean also serves ad hoc roles for the needs of the dean of the Faculty. While the dean of the College is responsible for many elements of the academic side of students’ lives, the position’s jurisdiction also includes monitoring the extracurricular and leisure time of College students. Between the two offices, there is a nebulous region of unassigned responsibilities, including the Core Curriculum, advising and House life. The Lewis-Maull report states that the poorly delineated responsibilities of the two offices have led to oversight problems and a disconnect between the administration and various aspects of the University. And while some of these concerns were resolved by Lewis himself during his tenure, several administrators and Faculty members argue that the dean merger will help in terms of administrative efficiency and service to the undergraduate community. 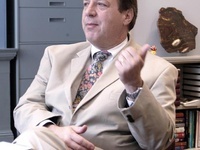 Echoing the warnings of the report he co-authored, Lewis says that “the edges [between the two deanships] were never even that clear some of the time,” noting his initiative last year to raise the Advanced Placement score requirements for advanced standing, a move that technically falls under the jurisdiction of the dean of undergraduate education. Todd says that while he worked well with Lewis, he found that there were omissions and overlaps that resulted from the separation of the two offices. “Each individual component of [undergraduate education] has increased and no individual person is there to oversee and consider all these things,” Todd says, adding that there were some cases where the two-dean structure proved inefficient. “There are probably some things on Lewis’ side of the hall that the dean of undergraduate education should be charged with,” he says. Associate Dean of Undergraduate Education Jeffrey Wolcowitz, who has held the office for over two decades, says that he has seen a gradual expansion of the role of the dean of undergraduate education. Both Todd and Lewis say that advising—an area that pertains to both academic and social life in the college—is one such responsibility that often gets lost in the shuffle between the two decanal jurisdictions. Advising is expected to be a key issue in both the curricular review and in restructuring. Gross and Kirby both hope that the consolidation of the deanship will help solve the advising problems that have arisen in recent years. Gross says that early next year he plans to assemble various advisors—from freshman proctors and head tutors to the Bureau of Study Council—to coordinate their activities. He also hopes that closing the gap between head and senior tutors will get the House more involved in advising students. The emphasis on advising highlights the consequences on pedagogy and student-faculty interaction that the restructuring may have. The one recommendation of the Lewis-Maull Report that Knowles did decide to follow through on arose from the pressing issue of getting professors more involved in student life. “I think the one thing on which we were unanimous was that there should be more faculty involvement in College affairs, and that happened, of course,” Lewis says. And now, as the loftier responsibilities of the Dean of the College accrue, and the others are sloughed off onto lower level deans and administrators, the dean of the College may find himself in a stronger position as a lobbying voice for students amidst his colleagues in the Faculty. Gross—who maintains two offices, advises doctoral dissertations and senior theses, chairs several committees as dean and still finds time to fly to Paris to officiate at awards ceremonies—has a lot of energy. But he is only human, and upon his appointment, many expressed fears that the combined deanship would be too much for one person to handle. Some worry that the former dean of undergraduate education will ultimately treat student issues as an afterthought. Gross himself says his main focus next year will be the curricular review. And he makes no promises about serving longer than one year on the Ad Board. Lewis built a reputation for being not only knowledgeable of, but also directly involved in, all the facets of undergraduate life. By next year, Lewis will have appointed 11 of the 12 House masters. He counts the improved morale among the masters and the administrative staff as one of his greatest successes as dean. He also chaired eight committees and sat on another 20. “To be dean of the College is to be father of 4,000 students,” Assistant Dean of Undergraduate Education Deborah Foster says. Gross, however, will need to find other people to compensate for the fact that he will not be able to pay such close attention to the minutiae of student issues. He says he is likely to appoint someone to serve in a capacity similar to that of a dean of students, relieving him of some of the tasks that Lewis has handled as dean of the College. One of these tasks is overseeing House life, and many of the masters’ concerns with the restructuring arise from a general fear that Gross will have too much to do too as dean. Kirkland House Master Tom C. Conley said it would “be wrong to say” he does not worry about Gross assuming the combined deanship. “I don’t see how one person can have so much responsibility,” he says. But responsibility will be delegated, and for the most part, the Masters seem confident that Gross will not harm House life. Gross will probably face close scrutiny next year, so it is likely that he will seek to preserve the political capital he now enjoys among masters. Though Gross has made a point of attending concerts and other extracurricular events as an indication of his concern for the activities, the demands of the new job will soon prevent him from maintaining this level of involvement. As Gross becomes less visible to students, a lower-level dean will fill the breach. At a symbolic level, this will reinforce the message that the College is moving away from extracurriculars. But practically, extracurricular activities are virtually certain not to fall by the wayside. Gross says that while he realizes he will have to divide his attention, he has promised to take on several of the most exigent student-life issues personally. He has promised to address the most pressing concerns facing student groups, embracing space and social alternatives to late-night drinking as top priorities. Associate Dean of the College David P. Illingworth ’71, who handles student groups for Lewis, says Gross can build student support right off the bat by immediately attempting to solve one of the several space-crunch issues facing the College. The atmosphere is tense on the first floor of University Hall. Many administrators are unwilling to comment on the firing of Lewis or the upcoming restructuring—and not out of mere respect for Kirby and Gross. With Lewis’ departure, members of his staff are left wondering whether their jobs will go next. The fact that the administration would force out the gung-ho Lewis sends the message that nobody’s spot is completely secure. “It’s hard to see someone who loves Harvard so much be forced out like that,” says Avery, who seemed more forthcoming than other administrators in Lewis’ office. But Avery will depart Harvard after this year. It does not help that administrators are uncertain that their jobs will fit into the new structure, regardless of their loyalties to their former boss. Gross said in an interview last month that he had already met with Maull and that though things are in a “pretty delicate stage,” he has a few ideas of what he might like to do. He said, for example, that he is thinking of having four or five senior deans working under his office. He will probably staff the office with people from within the University, but might conduct a nationwide search. Still, some administrators say they have no worries about keeping jobs at Harvard. “I have been assured that there’s work to be covered,” Associate Dean of the College Thomas A. Dingman ’67 says. “As far as I know, talking to all my colleagues, everybody has been assured that they have a job,” says Illingworth. Still, nobody has been—or can be, for now—promised that they will have the same job with the same stature and the same guarantee of face-time with their bosses. “You can’t work in student affairs and be inflexible,” Illingworth says, considering the possibility that his job might be very different in the future. For now, Gross is soaking up as much feedback as possible in contemplating the future structure of his office and how it can facilitate the role he expects to play in undergraduate life. Though Kirby said in March that he hoped the reorganization would be completed by the end of this semester, Gross says that the structure of his new office will probably not be formalized until after the curricular review, which is expected to last at least two years. He says that he has been getting advice from Faculty members and former deans. And Kirby is also offering his feedback on the restructuring. “It puts a lot of work on the plate of the dean, and my job is to find the administrative structure that allows that work to be done. Fortunately, I have many talented people in University Hall to work with,” he says. Professor of the History of Science Everett I. Mendelsohn, who is a close acquaintance of Gross, suspects that only a single new deanship will be created in the administration. Many professors and administrators say Wolcowitz is very likely to advise Gross and to be a key player in the new structure. Gross, who says that he does not yet want to assign titles to people, says Wolcowitz is assured a major role in his new office, although he is not sure at the moment what it will be. Kirby, who asked Wolcowitz earlier this year to help revamp the Office for International Studies, spoke of Wolcowitz with similar enthusiasm. Wolcowitz, who sat on the Ad Board from 1983 until 2001 and was the vice-chair of the board for the last few years of that period, is a likely candidate for a seat on the disciplinary board under Gross’ new regime. Some even speculate that whenever Gross hands over control of the Ad Board, Wolcowitz is a leading candidate to take the reins. Long-time administrators say the key to success for an administration is whether the structure fits the personalities. Over the past eight years, Lewis’ strong personality and leadership style has left an indelible mark on University Hall and the College. “He built all of that. He put a lot of us in place,” she says. Some saw Lewis as the best candidate to assume a combined deanship when the opportunity arose. But those on both sides of the northern corridor in University Hall express confidence that Gross is up to the challenge and say they will support him. Gross’ accomplishments as an administrator have come with little fanfare, and he seems to like his small corner office—a stark contrast to Lewis, whose undertakings are well-known on campus and who occupies the central office on the first floor of University Hall. But those who know Gross say he has the fundamental abilities and skills necessary to make it. “He has very strong opinions, and can be very strong and committed,” Todd says. —Staff writer Alexander J. Blenkinsopp can be reached at blenkins@fas.harvard.edu. —Staff writer Rebecca D. O’Brien can be reached at robrien@fas.harvard.edu.